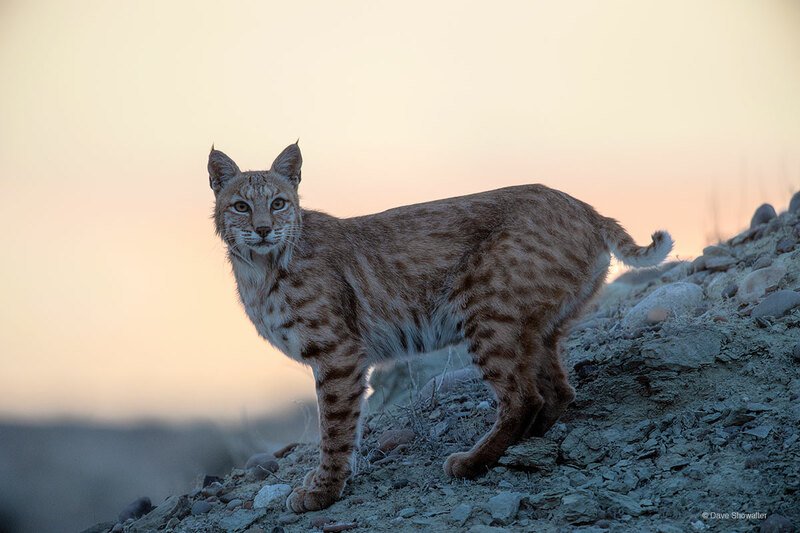 Backed by the setting sun, a female bobcat roams her territory on a bluff over the Green River, her young kittens most likely stashed in their den nearby. In June, she is hunting often to feed her growing youngsters. At Seedskadee NWR, the Green River runs through open sagebrush country, providing riparian and sagebrush habitats and prey for bobcats and everything else. Photo © copyright by Dave Showalter.